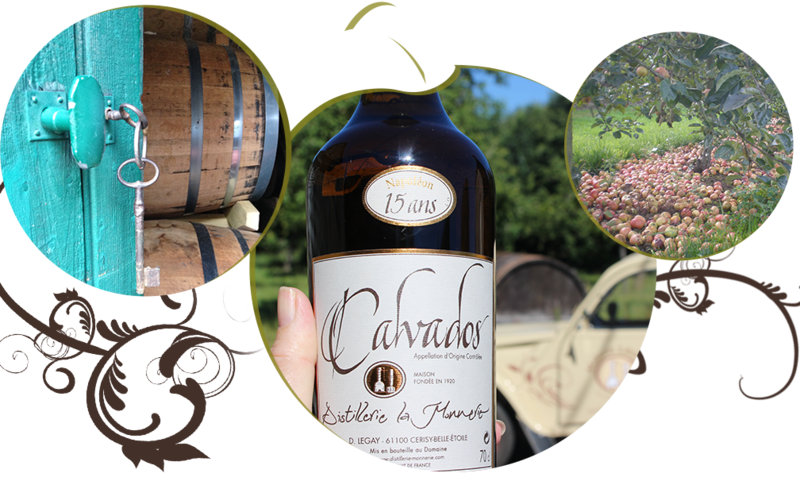 Calvados, Cider, Apple liquor (pommeau) : Our know-how from production to sales. 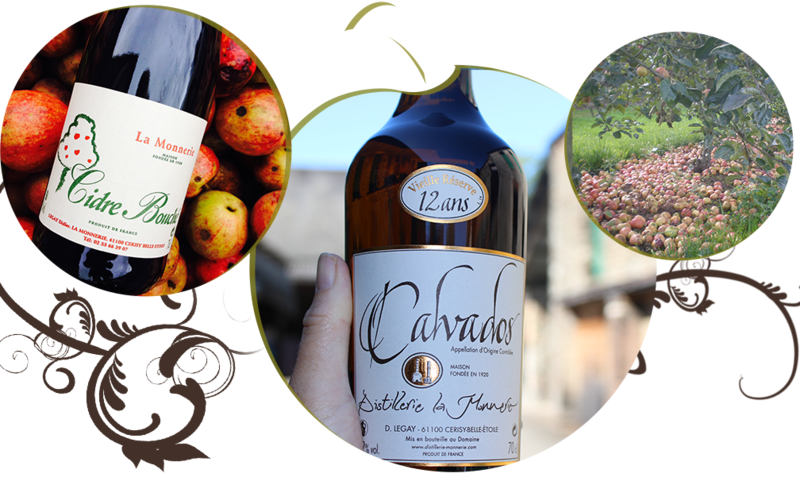 You would like to learn more about our Calva, cider and pommeau production located in Cerisy-Belle-Etoile ? 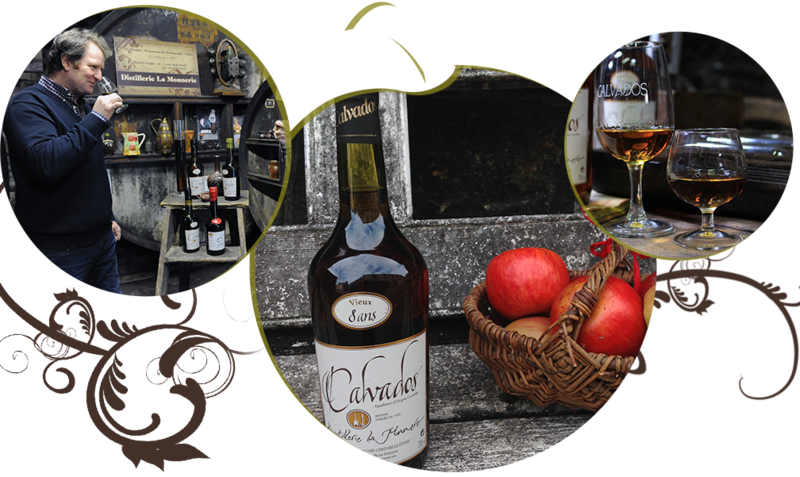 Lets discover the different production stages and learn about our traditional way of working. Thanks to our know-how, our products have been many times rewarded, both in a local and national level. We own 5 500 apple trees from 15 different varieties. 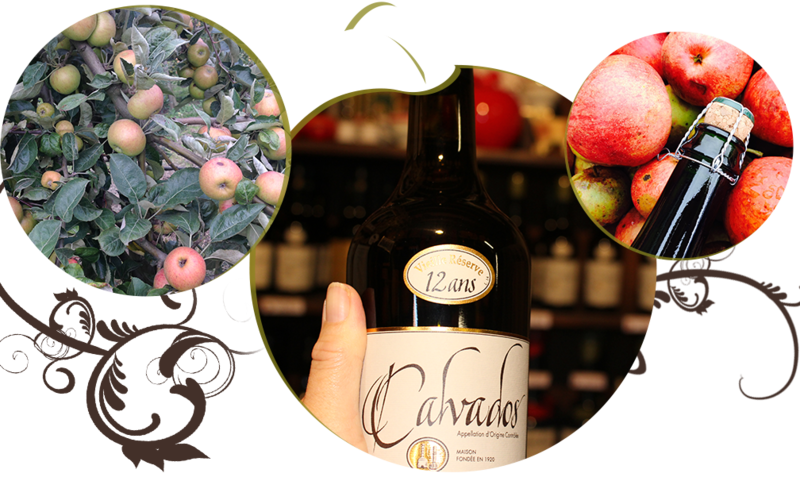 These wide variety of apples is necessary to bring cider its balance taste. According to the precocity of varieties, collections can extend over between September and November. In order to collect the ripe fruits, we make until 4 crossings under each apple tree. 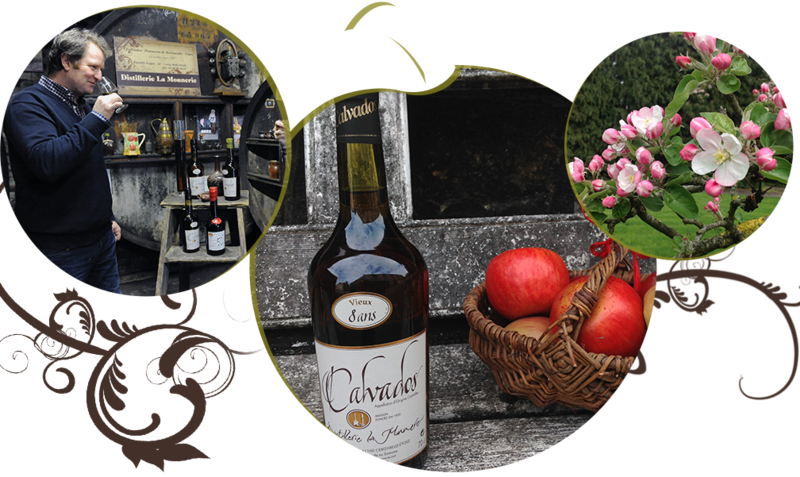 We are proud of our cider quality, and we make sure our apples are enough qualitatives for the production. Before pressing the apples, we stock them few days on a platform. And then, we brew the ripped fruits to juice them. We carefully wash, separate and peel the fruits. We manually check every single apple and remove the rotten and damaged ones. We use a punched tape automatic press in a continuous cycle so that we can get as much juice as possible. 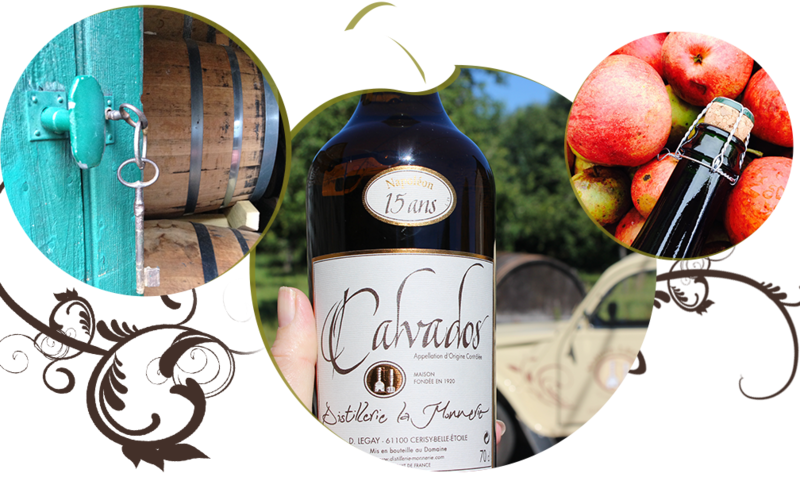 The apple juice slowly and naturally matures in a vat for 10 to 12 days. This step helps the cider to distil. 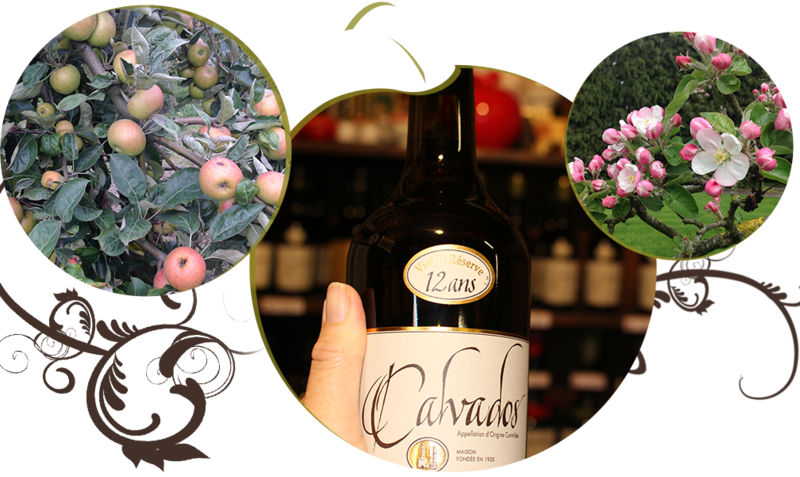 We distil in the “old-fashion” way; wich means with a column still, strictly required to obtain the designation Calva AOC. A single distillation. Our alambic is still the same it was in 1920. It has pride of place on our property as it is the witness of our ancestors work. The first column receive the cider in its top part. And then, the cider runs down from trey to trey. Due to the heat, the most volatile products vaporize to condense in the smallest column that directly makes the 72 degree ‘s brandy. 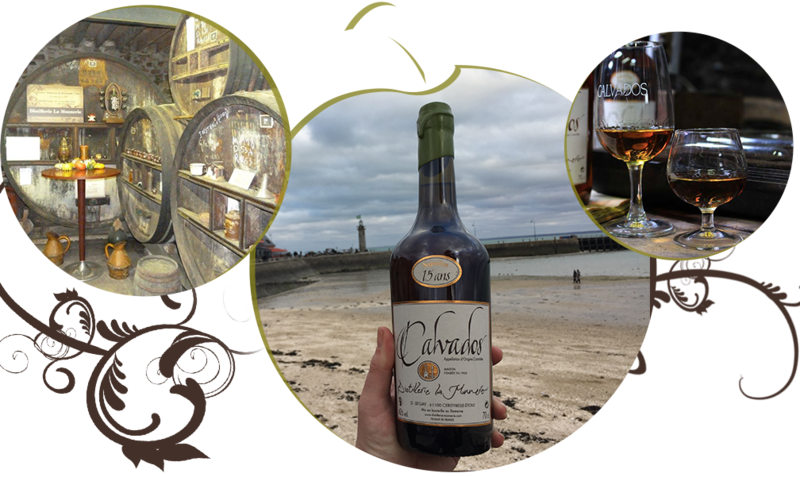 Distillation reveals a clear brandy surptisingly Floral, with fruity notes. The liquor will obtain its colour with the help of wood and time. 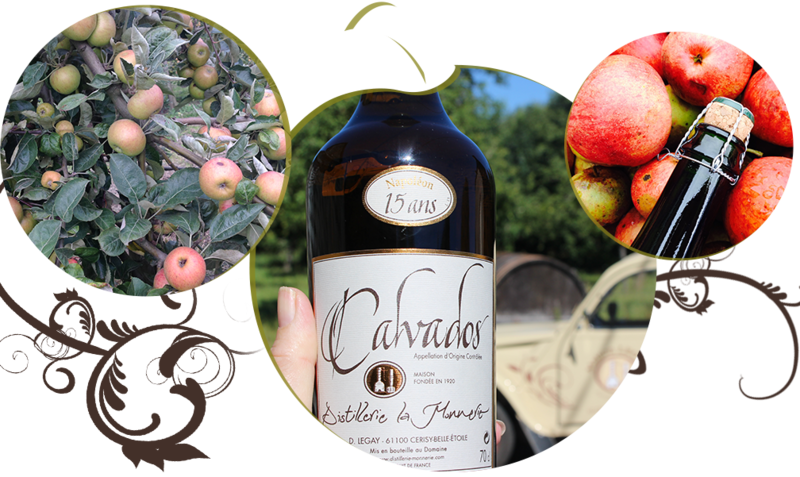 Our Calva is oak-aged, and its dark amber colour is due to the tannins. The Oak aging permits diffèrents mix between the brandy, the wood, and air. It helps developing light woody and delicate aromas. 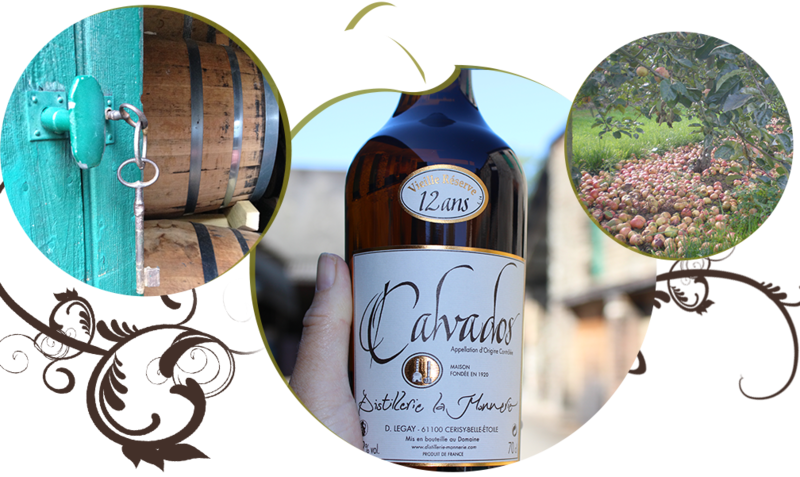 We use two different types of barrels for the aging of our calvados. Once distillation is carried out, our Calvas stays for few months inside of young barrels in order to get their vanilla aroma. Then, the liquors rests in the oldest barrels (less tannic) in order to softly evaporate and free intense aromas. Finally, we won’t forget "the angel's share", which is the evaporation of the liquor through the wood. We manage the bottling process in-situ and the bottles labelling are also handmade, here at the property. We are specialized in designing customized labels to apply on our bottles. Thanks to this complete mastering of the production chain, we are able to guarantee the authenticity of our Calvas. Here is the culmination of our hard work. Next step is to submit our products to the customer also fans of regional products and authenticity. We can ship nationally, but also worldwide. 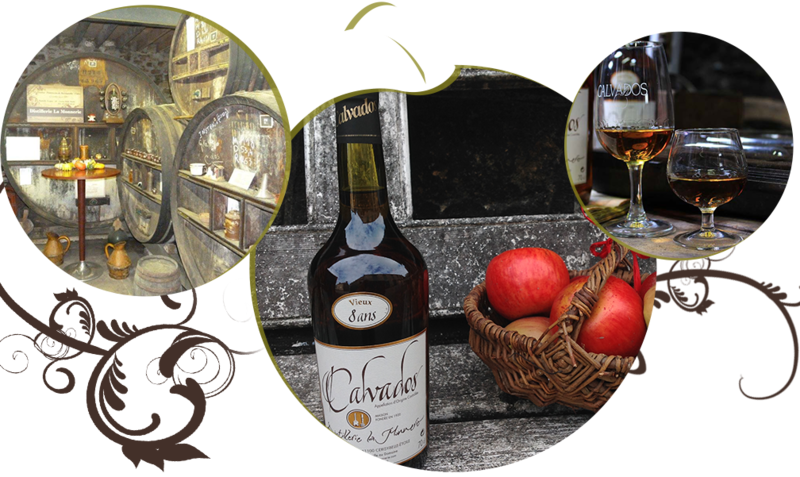 You don’t drink Calva, you savor it. 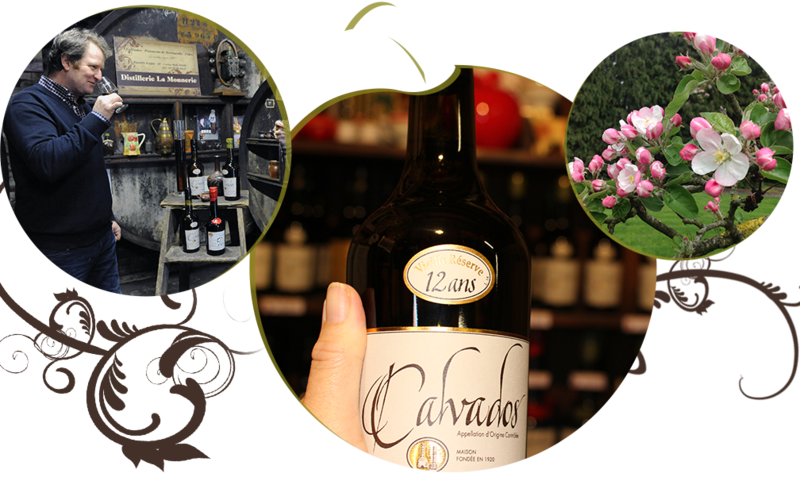 Our cellars offers a wide variety of Calvas from 3 years old to more than 50. We are really proud to enshrine this Norman tradition well known as “Trou Normand”. End your meal with a Calva and enjoy your moment with complete piece of mind. You’ve always dreamed of being a barmaid, try it « on the rocks ». Use Calva when making cocktails will bring a surprising fruit note to your drink.